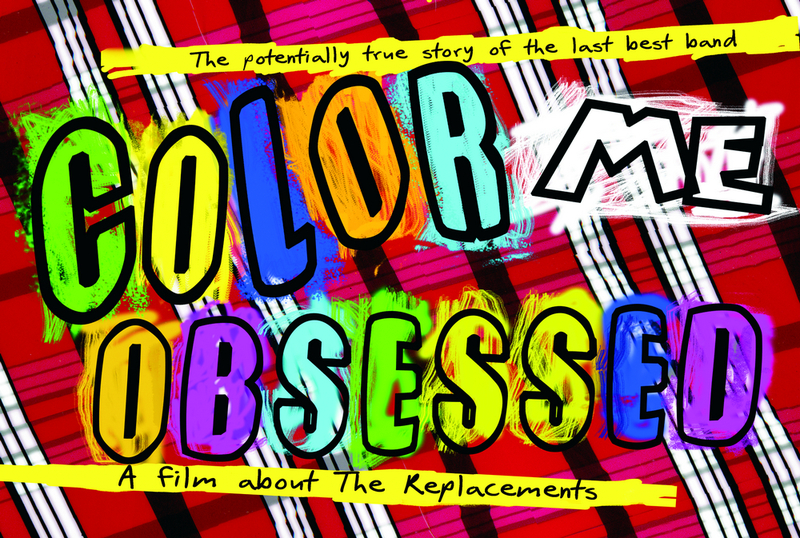 Documentary on indie-rock legends The Replacements set to premiere. 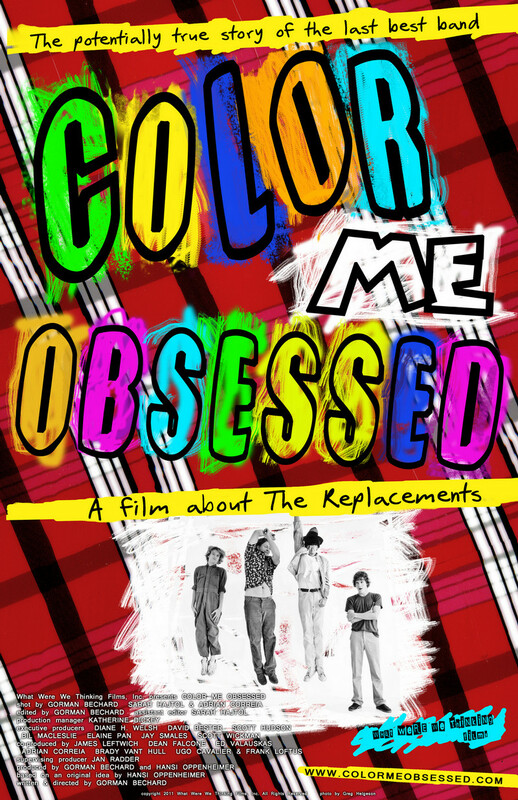 NEW HAVEN, CONNECTICUT & TAMPA, FLORIDA: COLOR ME OBSESSED, the first documentary about famed 80’s indie-rock band The Replacements, will have its World Premiere at the 5th annual Gasparilla International Film Festival in Tampa, Florida. Gorman Bechard, the film’s director, took top honors at last year’s GIFF with his romantic-comedy FRIENDS (WITH BENEFITS). 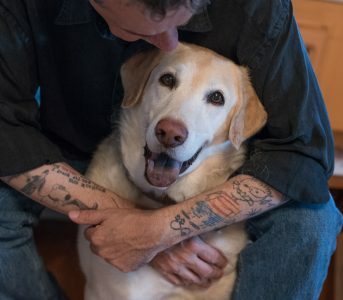 Combining over 140 interviews with rockers (Colin Meloy of The Decemberists, Craig Finn of The Hold Steady, Tommy Ramone, Grant Hart and Greg Norton of Husker Du, all three members of Goo Goo Dolls), journalists (Robert Christgau, Legs McNeil, Ira Robbins, Greg Kot, Jim DeRogatis), and fans both famous (Tom Arnold, Dave Foley, George Wendt) and not, Bechard delivers the obsessive tale of the most influential band you’ve never heard of, The Replacements. 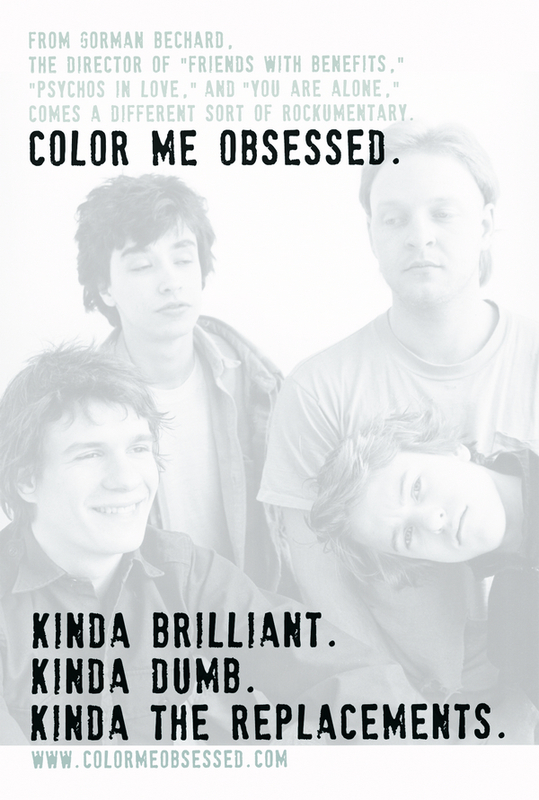 And though containing not one note of their music, COLOR ME OBSESSED is a documentary that really rocks.